Every facility manager has budget constraints, and that means you have to make some choices about priorities. Decisions often lean toward “tyranny of the urgent” – you need a new roof, you need to repave the parking lot, etc. Things like launching sustainability initiatives and becoming LEED certified can seem like a luxury…but they aren’t. So if your building needs a new roof – or you’re planning construction of a new roof – what are the advantages of getting that roof LEED certified? LEED certification, an initiative of the U.S. Green Building Council (USGBC), stands for Leadership in Energy and Environmental Design. Businesses all over the world have made LEED the most widely used third-party certification for green buildings, with more than 1.85 million square feet being LEED certified each day. Projects earn points for meeting certain specifications, and the total determines your level of LEED certification: Certified, Silver, Gold, and Platinum. “Certified” – the baseline status – requires 26 credits for new construction and 39 credits for existing buildings. How Can My Roof Earn LEED Credits? There are further opportunities for points depending on things like type of construction and the building’s purpose (school, retail, data centers, warehouses, healthcare facilities). 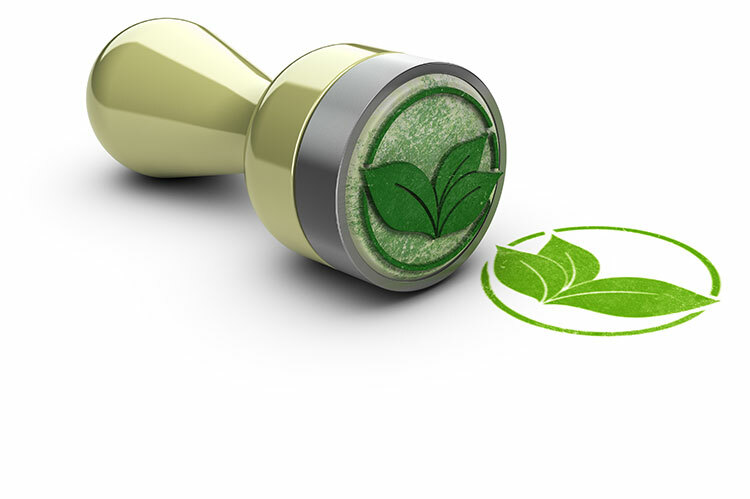 LEED certification starts with submitting an application for your project. That includes completing paperwork and paying a processing fee. Next, you submit your application through LEED Online. Finally, your application is reviewed by the USGBC, and you’re awarded a level of LEED certification based on the total number of points your building/project earned. Despite the proven benefits of becoming LEED certified, you might not be ready to replace your roof for that reason alone. But if it’s time for a new roof anyway – or if you’re doing either a complete renovation or constructing a new building – it’s the perfect time to make the choices that will help you achieve LEED certification. Between the impact on the environment, the positive PR, and the potential financial benefits, it’s just too good an opportunity to pass up.